​​​​ AUSTIN – A redevelopment opportunity near the Texas Capitol has hit the market with Austin-based Velocity Credit Union putting properties at 610 E. 11th St. and 705 E. 12th St. up for bids. 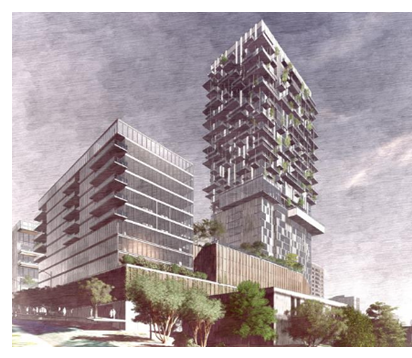 The two parcels could be redeveloped as a mid-rise and high-rise mixed-use project. Currently, Velocity occupies the buildings—named Sabine East and Sabine West—for operational headquarters, back-office staff and a customer branch. The properties encompass about 93,000 sf and include surface parking. Location is a prime advantage of the existing properties with immediate access to I-35 and a drive of less than five minutes to the Capitol. The two properties were most recently valued at $9.3 million for tax purposes.